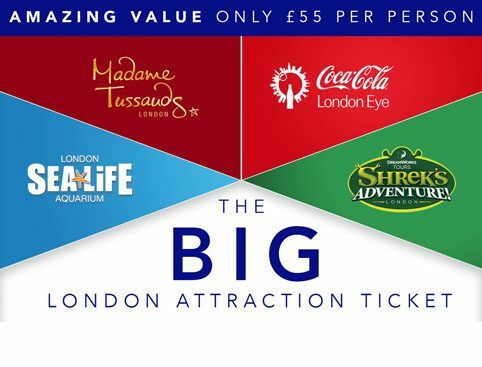 At Make a Bucket List we bring you an offer from Buyagift.co.uk, a visit to the Shard in London and lunch for two lucky people for only £100. 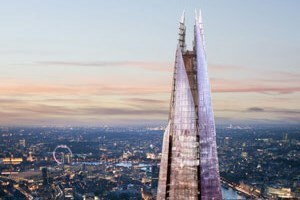 Get set for a unique experience at the tallest building in Western Europe and the latest addition to the London skyline, The Shard. This majestic monument towers over the capital’s famous landmarks, and you’ll be able to see them all from The Shard’s observation deck – standing at 244m (800ft) and offering a 360 degree, 40 mile view over the city and beyond. Your experience will also include a delicious two course lunch for two at Balls Brothers Restaurant, situated just a short walk from The Shard. The View from The Shard is a unique encounter with one of London’s most impressive landmarks and a once in a lifetime opportunity to experience the whole of London like never before. You will be taken on a journey in a high-speed lift from street level to the Shard’s observation deck – standing at 244m (800ft) and offering a 360 degree, 40 mile view over the city and beyond. Your experience also includes a delicious two course lunch for two at Balls Brothers, set within the delightful Hays Galleria just a short walk from The Shard. Your lunch includes two courses (starter and main or main and dessert) from a set lunch menu. Your voucher is valid for ten months. The experience is for two people. You must pre-book your experience at least 8 days in advance. Lunch reservations at Balls Brothers Hays Galleria are available at 12:30pm or 2:00pm only. Please note Balls Brothers does not offer disabled access. Once arranged your booking is non-refundable and non-transferable. The minimum age for this experience is 4 years. All dates and times are subject to availability. For further information or to book head over to BuyaGift.